“we/us/our” means Davies & Davies Estate Agents Ltd, a limited company registered in England under company number is 09865269, whose registered and trading address is address is 85 Stroud Green Road, London N4 3EG. By using our website, you may also receive certain third-party Cookies on your computer or device. 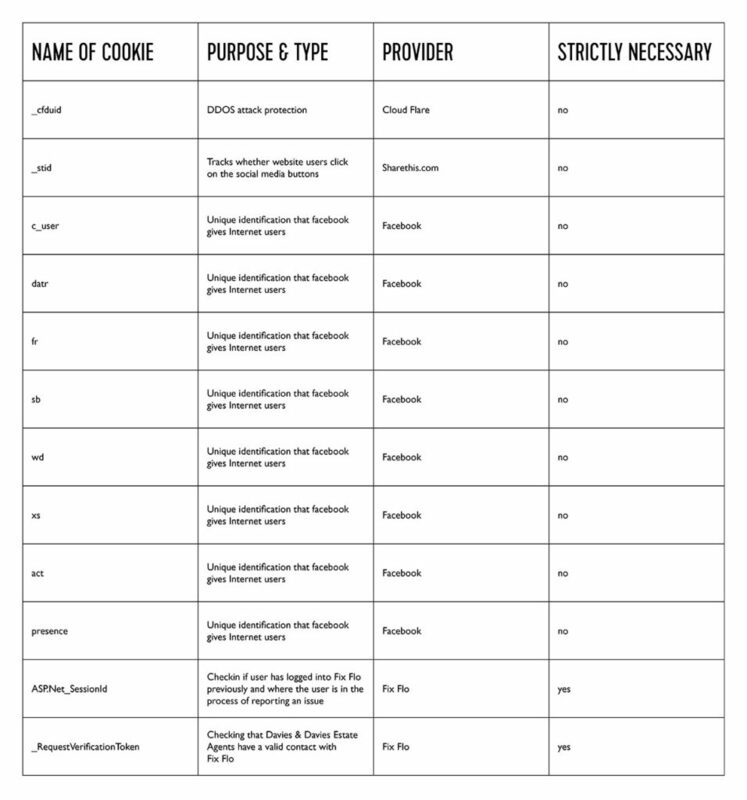 Third party Cookies are those placed by websites, services, and/or parties other than us. Third party Cookies are used on our website for social media integration, performance tracking and to improve the security of the website. For more details, please refer to section 4 below. 4.What Cookies Does Our Website Use? Our website uses analytics services provided by Google Analytics. Website analytics refers to a set of tools used to collect and analyse anonymous usage information, enabling us to better understand how our site is used. This, in turn, enables us to improve our website and the services offered through it. You do not have to allow us to use these Cookies, however whilst our use of them does not pose any risk to your privacy or your safe use of our website, it does enable us to continually improve our website, making it a better and more useful experience for you. The analytics service used by our website uses analytics Cookies to gather the required information.